Finance Costs > How Much Does Ace Cash Express Cost to Cash Personal Checks? How Much Does Ace Cash Express Cost to Cash Personal Checks? ACE Cash Express is a financial institution that offers short- and long-term payday loans that does not require a bank account, allowing customers to get their money without any sort of hassle. Aside from payday loans, they also cash checks for a small fee. With their sophisticated check cashing system, they are able to cash virtually any type of check on the market. How much does it cost to cash a check at Ace Cash Express? The cost to cash a check at ACE Cash Express is going to depend on the type of check of check that you have. On average, the costs to cash a personal check can range anywhere from 2% to as much as 6%. For example, to cash a government check, they will charge a 2% fee. If the check is computer generated, they will charge a 2 1/2% fee, and lastly, if it is a personal check or money order, they will take 6%. For example, a $1,000 government check will cost you $30, while a $1,000 personal check could cost $60. According to this BankRate.com article, they state that ACE Cash Express charges 3% of the check amount. This fee may differ from one location to the next. At a location in Orlando, Florida, a member on Yelp stated they were charged 2 percent for a payroll check, but they would charge more for a handwritten check. ACE is able to cash the following types of checks: payroll, personal, checks made payable to a company, cashiers checks, income tax refunds, government checks, insurance settlements, and money orders. When they cash your check, they can either load it onto a prepaid debit card or just give you cash. This debit card can be refilled when you get your next check cashed, or you can simply destroy it when you are finished if it is a one-time thing. Before your check is cashed, they will verify the check using their sophisticated system to make sure that the funds are available. They will also ask you for your legal picture identification and require your signature on the back of the check. According to the website, the approval process is easy, no credit check is necessary and no appointment is needed. If the money is loaded onto a debit card, some prepaid fees may apply in addition to the percentage that is already taken out of the check. According to some, if you do use the debit card, a dollar fee is added to every purchase. You will need a photo I.D. in order to cash your check. While they tend to cash most checks, they will not be able to work with some circumstances. To play it safe, call up your nearest location to see if they will be able to help you with your particular check. Installment Loans. An installment loan can be taken for anywhere from $200 to $2,000. This loan will give you an extended time to pay it back, which means your individual payments will be lower. This type of loan is available immediately without a long waiting period to be approved; this money can also be given to you as cash, as a debit card, or transferred to a bank account of your choice. It also comes with a 48- or 72-hour guarantee, meaning that if you realize you do not need the loan within this period, you can take back the money with no penalty. Title Loan. If you own a car, you can use its title as collateral to get a loan. However, this means that if you do not pay back the loan, ACE will be legally allowed to take your car. Payday Loan. If you need to just get by until payday, this type of loan can be taken out for a short period of time for up to $1000. All you need is proof of employment to show that you have a paycheck coming soon. Pre-Paid Debit Card. If you have poor credit and are having a hard time getting a debit or credit card, ACE can get you one that is prepaid. This way, you will not have to carry cash around but will have access to your money when you need it. This card will be accepted anywhere that a Visa is accepted. Auto Insurance. ACE has auto insurance available at competitive rates with easier approval. Payday loan institutions tend to charge higher fees that usually do not make a lot of sense. If possible, try to open up a savings or checking account at your local bank and cash your checks for free. If you are set on using a service like this to cash your check, try to get rates from other companies like Walmart and other banks. Most, if not all, should be able to give you a quote over the phone. 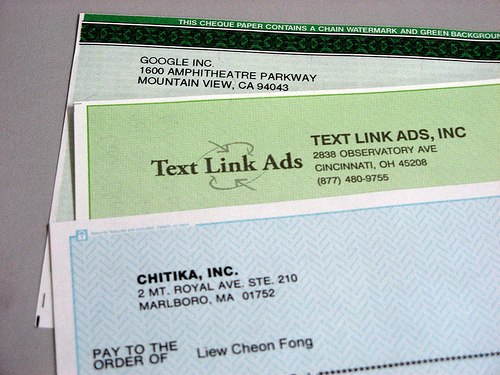 There are other establishments that are able to cash certain types of checks, even places such as a local convenience store. Check all your options before deciding.